1Additional savings, not good with all offers. See dealer for details. Take retail delivery by 4/30/2019. 2*CHEVROLET CONQUEST INCENTIVE FOR CURRENT OWNERS/LESSEES OF A 2005 OR NEWER NON GM (I.E., NON-BUICK, CADILLAC, CHEVROLET, GMC, HUMMER, OLDSMOBILE, PONTIAC OR SATURN) PASSENGER CAR OR TRUCK , CUSTOMER MUST HAVE OWNED/LEASED THE COMPETITIVE VEHICLE FOR A MINIMUM OF 30 DAYS PRIOR TO THE SALE OF THE NEW VEHICLE. See Dealer for detals. Take retail delivery by 4/30/2019. 3Must qualify through GM Financial. Not available with special finance, lease, or some other offers. Take delivery by 04-30-2019. See dealer for details. 4Not available with special finance or lease offers. Take delivery by 04-30-2019. 1Not available with special financing, lease and some other offers. See dealer for details. 2*CHEVROLET CONQUEST INCENTIVE FOR CURRENT OWNERS/LESSEES OF A 2005 OR NEWER NON GM (I.E., NON-BUICK, CADILLAC, CHEVROLET, GMC, HUMMER, OLDSMOBILE, PONTIAC OR SATURN) PASSENGER CAR OR TRUCK , CUSTOMER MUST HAVE OWNED/LEASED THE COMPETITIVE VEHICLE FOR A MINIMUM OF 30 DAYS PRIOR TO THE SALE OF THE NEW VEHICLE. See Dealer for detals. Take retail delivery by 4/30/2019. 3Must qualify through GM Financial. Not available with special finance, lease, or some other offers. Take delivery by 04-30-2019. See dealer for details. 4Not available with special financing, lease and some other offers. See dealer for details. 1Not available with special financing, lease and some other offers. See dealer for details. 2Additional savings, not good with all offers. See dealer for details. Take retail delivery by 4/30/2019. 3*CHEVROLET CONQUEST INCENTIVE FOR CURRENT OWNERS/LESSEES OF A 2005 OR NEWER NON GM (I.E., NON-BUICK, CADILLAC, CHEVROLET, GMC, HUMMER, OLDSMOBILE, PONTIAC OR SATURN) PASSENGER CAR OR TRUCK , CUSTOMER MUST HAVE OWNED/LEASED THE COMPETITIVE VEHICLE FOR A MINIMUM OF 30 DAYS PRIOR TO THE SALE OF THE NEW VEHICLE. See Dealer for detals. Take retail delivery by 4/30/2019. 4Must qualify through GM Financial. Not available with special finance, lease, or some other offers. Take delivery by 04-30-2019. See dealer for details. 5Not available with special financing, lease and some other offers. See dealer for details. Meet one of the bestselling SUV’s in America, the new Chevrolet Tahoe is now available at our West Harrison, IN dealership. This vehicle has a rugged, solid exterior and an overall athletic stance that commands attention on the road. At the same time, the interior is classy and serene, as a result of acoustic-laminated windshield and inlaid doors with triple seals, and oft touch leather-appointed upholstery. 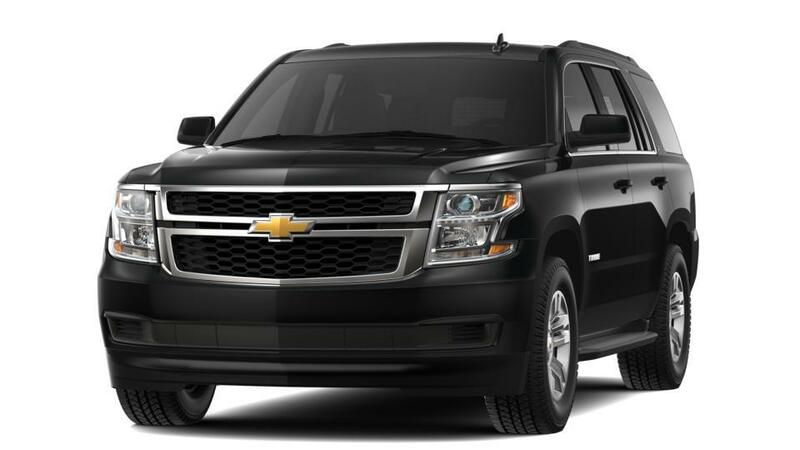 We have a large inventory of the new Chevrolet Tahoe, at our West Harrison, IN dealership. The power-release second-row and power fold-flat third-row seat make this vehicle versatile and spacious. Add to this an unmatched towing capacity and latest infotainment and navigation technology on the dash, and you have got a perfect mix of brawn, brains and style in the Chevrolet Tahoe. Our West Harrison, IN dealership offers this vehicle and others on its lot.